Pixeur is a color picker you can use to easily view the color, RGB, Hex, and Long value of any color you see. Pixeur will also keep a history of all colors you have selected, so going back is as simple as choosing the color from the Color History list. 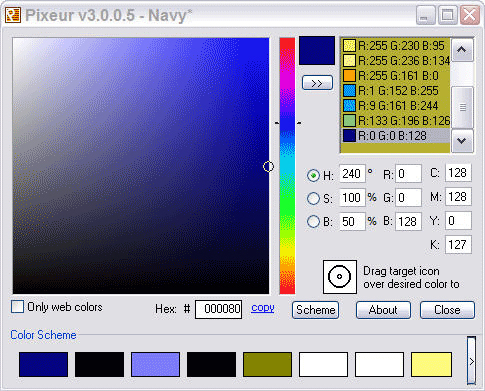 The new Color Selector, Color Scheme, Advanced Color History tools, makes Pixeur a top in its class.